ALL PUPS ARE SOLD FROM THIS LITTER! Diesel is a large framed 75lb chocolate male. He comes from a very unique breeding in which he is the only chocolate dog in his 5 generation pedigree. His sire is the great CNAFC-CFC-FC-AFC Aces High III and his dam is a HRCH MH female out of NFC-AFC Clubmead's Road Warrior. Diesel is the perfect outcross to any chocolate bloodline out there. In three generations there are 5 National Champions and 11 FC or AFC titled dogs. Diesel is a very calm and lovable dog, but at the same time has a big motor and loves to work. Diesel is an excellent marker and is very controlled on the line. 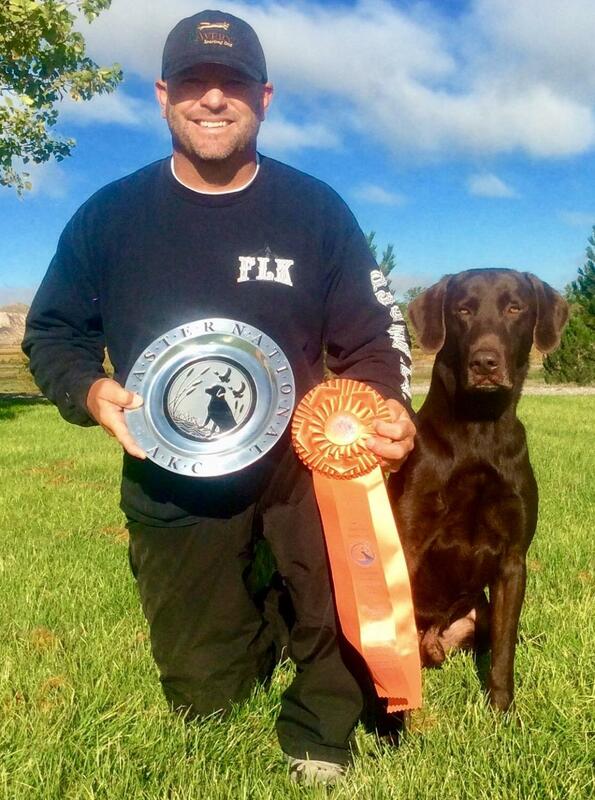 He obtained his Hunting Retriever Champion title this past summer and obtained his Master Hunter title in June 2016. Diesel made it to the 4th series of the 2016 HRC Spring Grand in Texas at the beginning of May. Diesel then came back to the 2016 HRC Fall Grand in Kentucky and passed it!! He then headed to St. Louis, MO and passed the 2016 Master National. Diesel passed the 2017 HRC Spring Grand and is now a titled GRHRCH! He also passed the 2017 Master National and he qualified for the 2018 Master National. We are very proud of his accomplishments so far and are very excited for his future. Diesel is only 6 years old and has already accomplished a bunch. He is also a full sibling to 6 MH, 5 QAA and also the 2013 National Derby Champion (FC-AFC Kirkwood's Ace Of Lonestar QAA) who accumulated 77 Derby points and was also a finalist at the 2017 National Amateur Retriever Championship. 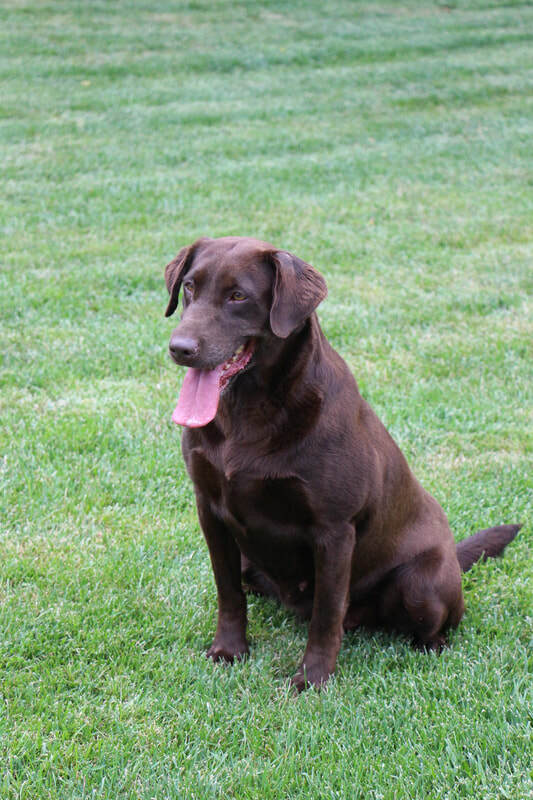 River is a compact 55lb dark chocolate female. She is a pure athlete and has a big motor. River is a very talented little female with great looks. 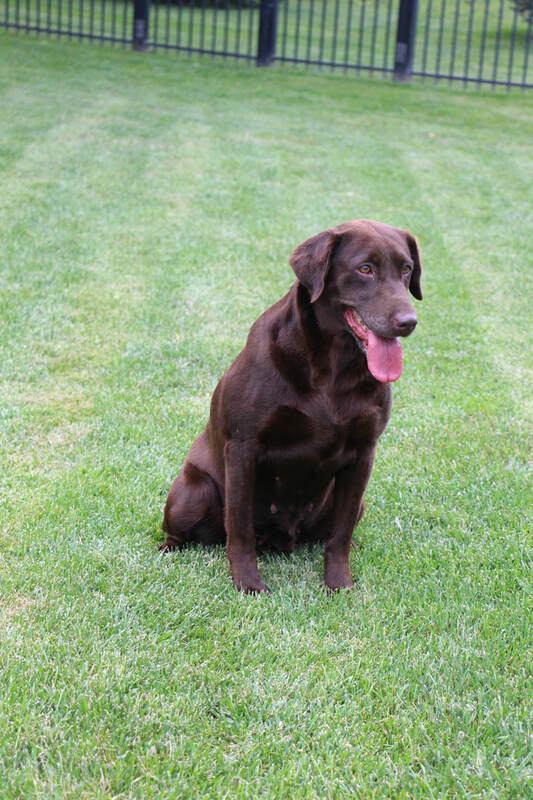 She comes from a very long line of talent as her pedigree is stacked with some great dogs. Her sire is a titled Master Hunter out of FC-NAFC Cody Cut A Lean Grade and a Master Hunter female. 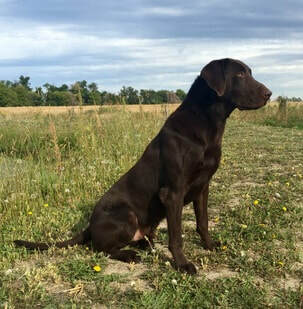 River's dam is a titled Junior Hunter out of AFC Ten Bears Road Trip and a titled Master Hunter/Hunting Retriever Champion female. River is a titled Junior Hunter in the AKC and loves to work. She has a great on/off switch and isn't one of those dogs that needs 30 minutes to unwind after being in a kennel. She loves people and is great with children. We feel this combination between Diesel and River is going to be a special one.